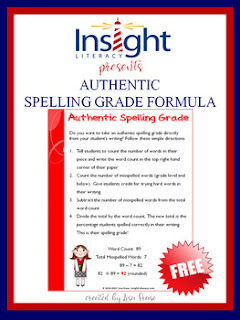 This simple free formula will help you to get an authentic spelling grade direct from students' writing. Do not remove, add, or change this file in any way. If you make copies for other teachers, include the entire file. Always credit the author, including TPT store and website links. You may not resell this file.